The Dublin Simon Community has today (11/05/2016) expressed concern at seeing another monthly increase in the numbers of increase families and individuals stuck in emergency accommodation in Dublin. 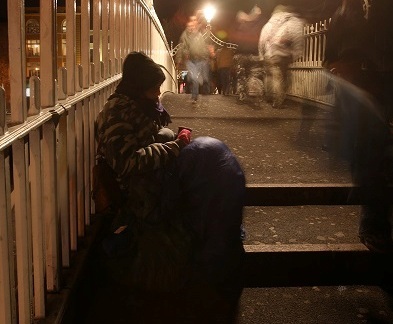 The figures were released today by the Dublin Region Homeless Executive. The figures, which have been released for March 2016, show that there are now 2,750 individuals living in emergency accommodation. This is a 2% month on month increase with the number being 2692 for the month on February 2016. The number of families who are accessing emergency accommodation has risen by 6% from 790 (February 2016) to 839 in the latest count. The numbers show that the number of children experiencing homelessness in Dublin has also continued to grow – from 1,616 in the last count to 1,723, which is a 6.6% month on month increase. There are 2,750 adults currently in emergency accommodation. 1,510 of that total are male with the other 1,240 are female. The number of families has increased by 6% from 790 to 839. 546 of families are single parents with the other 293 being couples. Children have increased by 6.6%, with numbers growing from 1,616 to 1616 to 1,723. Dublin Simon Community provides services to over 3,000 people in Dublin, Kildare, Wicklow and Meath who are homeless or at risk of becoming homeless. The Dublin Simon Community are calling on the Government to making the housing and homeless crisis their No.1 priority.